I have a question about the property at 170 West Brookline Street Boston MA 02118 (#72455523). I would like to schedule a visit for the property at 170 West Brookline Street Boston MA 02118 (#72455523). I have a question about the property at 50 Dwight Street Boston MA 02118 (#72458011). I would like to schedule a visit for the property at 50 Dwight Street Boston MA 02118 (#72458011). I have a question about the property at 9 Columbus Square Boston MA 02116 (#72436305). I would like to schedule a visit for the property at 9 Columbus Square Boston MA 02116 (#72436305). I have a question about the property at 95 Appleton Street Boston MA 02116 (#72473950). 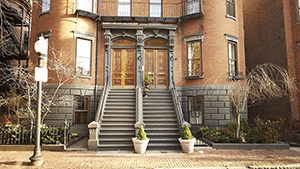 I would like to schedule a visit for the property at 95 Appleton Street Boston MA 02116 (#72473950). I have a question about the property at 90 Waltham Street Boston MA 02118 (#72467527). I would like to schedule a visit for the property at 90 Waltham Street Boston MA 02118 (#72467527). I have a question about the property at 7 Warren Avenue Boston MA 02116 (#72455670). I would like to schedule a visit for the property at 7 Warren Avenue Boston MA 02116 (#72455670). I have a question about the property at 40 Traveler Street Boston MA 02118 (#72463411). I would like to schedule a visit for the property at 40 Traveler Street Boston MA 02118 (#72463411). I have a question about the property at 603 Massachusetts Avenue Boston MA 02118 (#72454376). I would like to schedule a visit for the property at 603 Massachusetts Avenue Boston MA 02118 (#72454376). I have a question about the property at 528 Columbus Avenue Boston MA 02118 (#72475643). I would like to schedule a visit for the property at 528 Columbus Avenue Boston MA 02118 (#72475643).